Between summer projects we have continued to curate open educational resources. Lists of these vetted resources can be found at guides.ou.edu/oer. Each resource is accompanied by a description of the resource, a screenshot thumbnail, links to the author’s personal webpage, and licensing information. The Engineering page of the OER guide features resources from many engineering disciplines. We are very excited to have featured on the Engineering page the work of an OU College of Engineering faculty member, Dr. Kurt Gramoll. Dr. Gramoll has created an entire course management system, eCourses, that features seven textbooks; Calculus, Dynamics, Fluid Mechanics, Solid Mechanics, Statics, and Thermodynamics. Each textbook includes animations, case studies, examples and simulations all related to topics within the text. Dr. Gramoll welcomes faculty from OU and other schools alike to use eCourses. By requesting login information from Dr. Gramoll, professors gain access to a database of problems including their solutions, computer grading, and an integrated web board that allows those instructing the class to collaborate with the students. Dr. Gramoll has also developed an application, Torsion HPC, that is available for both iOS and Android devices. 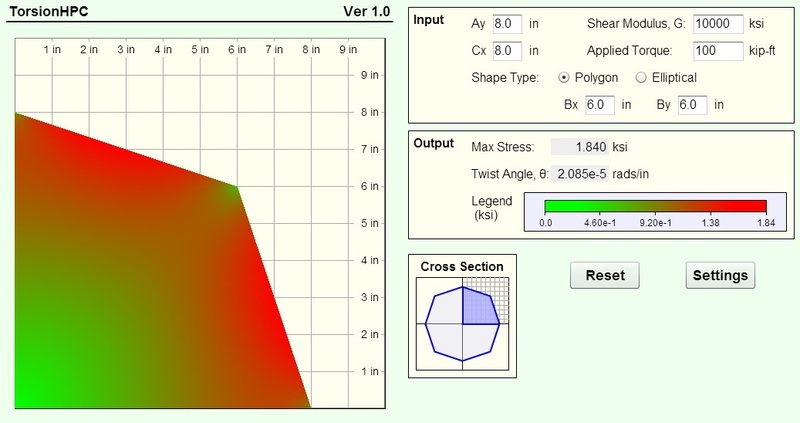 This is a 2D stress analysis tool that shows stress on a cross section of an object whose shape, properties, and stress parameters can be defined by the user. Also featured on the Engineering page of the OER guide are several other textbooks that by no means form an exhaustive list of all Engineering OER, but are examples of the types of materials that can be found with a specific OER search. We have began to include an ‘Open Textbook Collection’ section on each page of the OER guide that links to relevant pages within our favorite OER repositories. For example, on the Engineering page, there is a link in the ‘Open Textbook Collection’ to the Engineering page of the Open Textbook Library. These links point users to much larger collections of OER such that they might be able to find OER that fits their specific needs. By the end of the summer there will be another resource created by an OU faculty member added to the guide. Dr. Diana Bairaktarova is working with two students, Gene Ilichev, and Brian Wanezek to create an open Thermodynamics textbook. The textbook will be web-based, but will also be downloadable and therefor printable by those who prefer to have a physical copy. As it looks right now, the Thermodynamics book will use the layout that I discussed in my post about using a website as a universal publishing platform. When this project is finished it will be a good example of how to effectively deliver technical content in an open way. I would like to mention here, in a blog post aimed at engineering faculty, a solution to the problem of displaying equations on a webpage. I began looking into this as we started to work with Dr. Bairaktarova on her Thermo. book. She needed a way to elegantly display math and equations on a webpage. It’s common to see equations displayed on a webpage as images. This works but, as I see it, is far from an elegant solution. If ever an equation that is displayed as an image needs to be edited, the whole image needs to be recreated and uploaded onto the page again. In searching for a more friendly way of displaying equations, I came across MathJax. MathJax is a script that is inserted into every page that will display equations. The equations that are to be represented on the page are written in LaTeX markup, which many science faculty are already familiar with, and then converted by the MathJax script and displayed as webfonts when the page is loaded. This means that to change an equation simply requires making changes to the LaTeX markup in the HTML of the page. LaTeX markup can be quickly written by anyone who is familiar with it and its basics can be leaned within a few minutes by those who are not. It makes writing equations easy and is an ideal solution for those who are interested in creating content that includes equations. Please be sure to check the OER guide often as we are constantly adding content to the pages there.